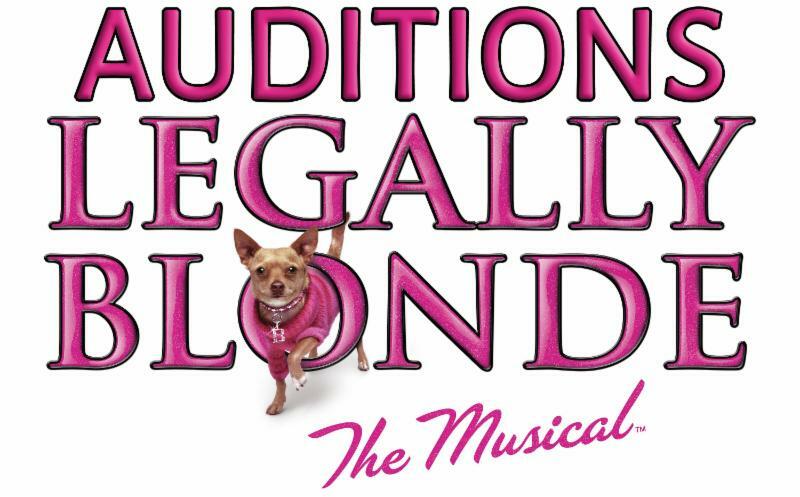 nj arts maven: COLOR-BLIND AUDITIONS for "Legally Blonde: The Musical" Now Being Scheduled! COLOR-BLIND AUDITIONS for "Legally Blonde: The Musical" Now Being Scheduled! WHERE: Audition location will be given in your audition appointment confirmation e-mail. WHO: COLOR-BLIND CASTING: ALL ETHNICITIES STRONGLY ENCOURAGED! CASTING ACTORS AND ACTRESSES 16 YEARS OF AGE AND UP. Auditionees should prepare 2 vocal selections: 16-32 bars of a ballad and 16-32 bars of an uptempo/belt, both in contemproary musical theatre, pop, or belt style. Auditionees should be prepared for cold readings. No monologues will be seen at this audition. Auditionees should prepare and be dressed appropriately for a movement audition.